Hi I want the exam time table of Yashwantrao Chavan Maharashtra Open University (YCMOU) so can you provide me? The Yashwantrao Chavan Maharashtra Open University (YCMOU) was established in July 1989. It is the fifth Open University in India. It has been recognised under section 12 (B) of the University Grants Commission Act, 1956. Go to the official website of the Yashwantrao Chavan Maharashtra Open University. Now click on the tab â€œJun-2015 Form / Time Table / Center Listâ€� in the lefts side of the page. 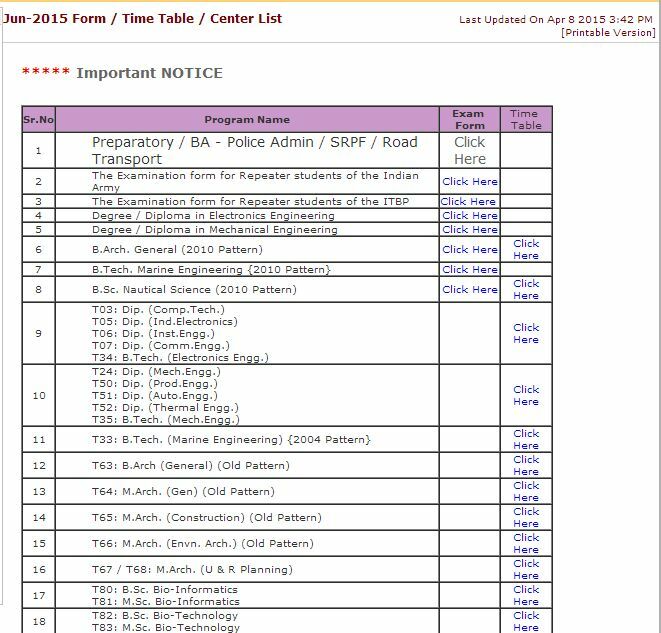 On this page you will get the exam time table of this University.